Shade gardens are often seen as a last-ditch effort to add some sort of greenery to areas where everything seems to refuse to grow. These desperate final attempts to make something remotely visually appealing happen in that shady spot in their yards often occurs after homeowners have tried, unsuccessfully, to grow a lawn or other sun-loving option in the area. The thing about trying to grow a natural lawn in the shade is that they often trick you into thinking it is going to be a good idea. Many types of conventional grass will initially thrive in shady spots, only to become sparse and require regular, extensive reseeding in a frantic effort to keep them looking green and lush. There are a few grass mixes and sedges that can grow in the shade, but trying to force grass to grow where it doesn’t really want to is generally not worth the effort, particularly when there are so many other options that are actually more attractive than grass. This is where shade gardens come in. While they generally get a bad rap for being boring or lacking color, this really is not the case. It is unfortunate that so many homeowners miss out on the many beautiful options available for creating an inviting oasis in their back yards or increasing curb appeal in their front yards with low-maintenance and attractive shrubs, perennials, annuals and ground covers that love showing off their colors in the shade. Shade gardens are naturally occurring or planted landscaping features in areas where there is little to no direct sunlight. This may occur because the sun is blocked by a fence, wall, a house or building, overhangs, trees, shrubs or other large objects. Some homeowners must contend with an entire backyard that is shady, while others may just have one or two shady spots where nothing seems to grow. It is not just a lack of sunlight that causes problems in shady areas; the health of the soil may also be compromised by the shrubs or trees causing the shade. In some cases, the area may receive sunlight during certain times of the day or that trickles through the trees. This is commonly referred to as dappled sunlight or light shade. In light shade areas, it may be possible to plant a wider variety of plants, such as herbs or some leafy vegetable plants, which may make a limited vegetable garden possible in these areas. 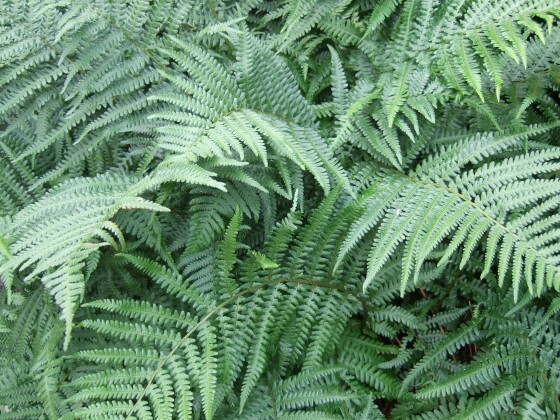 In areas of true shade with little to no direct sun throughout the day, you are limited in the types of plants that will thrive in these light and soil conditions, but there are still many options available, which allows you to have a beautiful garden area regardless of the amount of sun your yard receives. Many homeowners are plagued by shady areas in their yard and often think there is little hope of creating an inviting backyard oasis without the brilliant light of the sun. 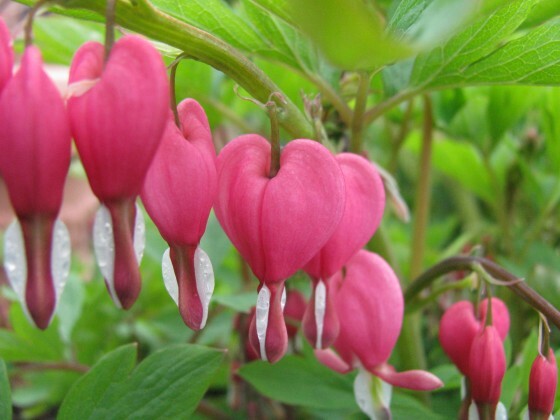 They cannot grow their favorite flowers, they think they will be stuck with a colorless yard, and they think that planning, planting and growing a shade garden will be too much trouble. There are actually several positive aspects of having shade in your yard, not the least of which is the energy savings you can experience if that shade helps to keep your home cool in hot summer months. Contrary to what many people think, color is possible when planting in the shade, and you will not be stuck with a vast area solely planted with different shades of green. 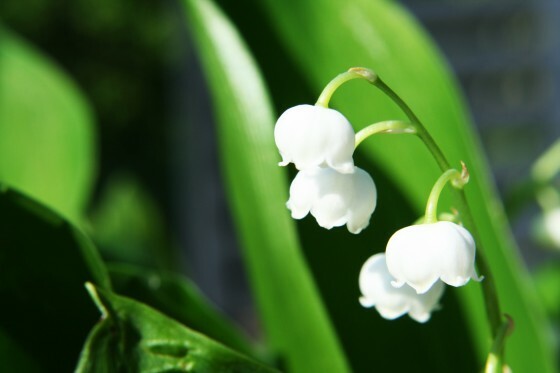 In fact, shady areas are perfect spots for some themed gardens, such as white gardens, which provide a clean, inviting green, silver and white garden space that can rival any sun-loving flowerbed. Another great benefit of growing in the shade is that shade gardens often look great with less ongoing maintenance when compared to gardens planted in the sun. It should also be noted that all those trees, fences, houses or other objects that are causing the shade also protect your shady garden from the elements, such as strong winds and the heat of the summer sun. Lastly, if you have ever considered including a yoga pavilion or meditation garden in your landscape design, that shady area of your yard is the perfect place to add these features that most people would not want to locate in direct sunlight. It may be the case that you would like to add more shade to your yard to make it more enjoyable for entertaining or spending time outdoors with your family in warmer months. But you may be reluctant to add more shade, because you are concerned that you will not be able to have a beautiful backyard without direct sunlight to encourage flowers and other plants to grow. Below, you are going to see just how many options are available to help you create a shady backyard garden that is just as beautiful as gardens grown in full sun, so do not consider shade an insurmountable obstacle in your landscape design. If you would like to add more shade to your yard, you can do so easily and affordably by planting trees, installing shade sails or adding patio umbrellas to your outdoor living spaces. If you want instant, natural shade, you will want to purchase well-established trees, which you can get from your local garden center. If your budget allows, you can also create shade by covering your patios with a permanent roof or awning, adding outdoor drapes to your existing patio structure, installing a retractable awning, adding shade canopies to areas of your yard, or putting in a gazebo or similar structure. One of the biggest misconceptions about growing plants in the shade is that you will be stuck with boring green foliage on low-growing, non-flowering plants. Shade-loving plants do often have softer hues, but they come in a wide variety of colors when it comes to both flowers and foliage. By choosing a variety of perennials, annuals, ground covers and shrubs that thrive in the shade, you can have a delightfully colorful space that will stand out even more in the dimmer light beneath the trees. For example, in terms of foliage, shade-loving options come with leaves in various shades of green, marbled whites and yellows, silvers and even purples. Flower choices come in pinks, purples, blues, yellows and whites, with white being a beautiful, bright choice for shady spots in your backyard. You can also add variety to your garden by choosing plants with varying textures, such as mixing hostas, ferns and ornamental grasses surrounded by a flowering ground cover. When it comes to how formal you should make your garden, it is possible to create formal gardens in the shade, but keep in mind that wild or natural gardens are often better options that will require less maintenance and are more likely to add visual appeal to the area. Shady areas are perfect spots for reading, meditating or enjoying time outdoors without sweating or getting a sunburn. This makes your shade garden a perfect place to add stone sitting walls, meandering paving stone paths or comfortable, shaded seating areas. Too much moisture is not always an issue in shady spots; in fact, some areas with full shade have dry soil with few nutrients. In these cases, you can improve soil moisture retention by using ground covers that will also help limit weed growth, such as wood chips, bark or mulch. These ground cover options add an additional layer of texture to your garden and are a good backdrop for setting off the various shades of green, silver, purple, white and pink in your garden. If you are not the type to be accused of having a green thumb, you might want to consider shade-loving plants that are super easy to grow, such as hostas. 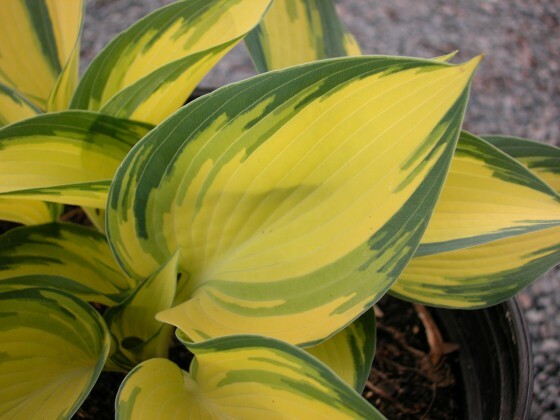 Hostas are an excellent choice for growing in the shade and come in so many varieties that you could create an attractive garden using only this one family of plants. These easy growers come in varieties that range in size from a few inches to several feet and are available in an array of colors, including variegated options and leaves that come in shades of white, gold, blue, yellow and green. When they are in bloom, you can enjoy even more color with flowers that come in white, violet, lavender and purple hues. Shady spots in your yard are a perfect place to add hardscape features, such as paving stone walkways, sitting walls and patios. 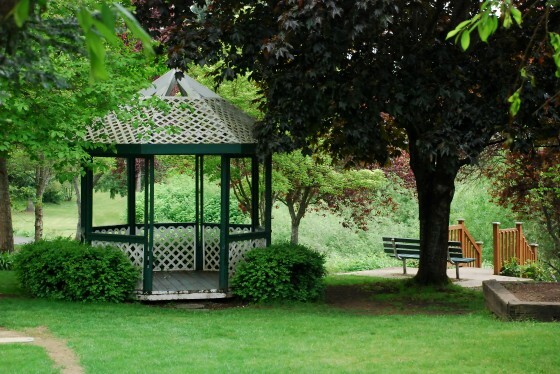 These are also good spots for yoga pavilions, gazebos or water features, such as ponds, which look quite attractive surrounded by moss and rocks in a natural setting. Rock gardens are another good choice for areas in full shade, particularly if you mix shade-loving mosses and flowering plants to add color and texture. If you just cannot get over wanting a lawn in a yard that is covered by trees or other shade-causing elements, you might consider including artificial grass in your landscape design. This low-maintenance option will add vivid green color to shady spots, and provides the look and feel of a natural grass lawn without the need for sun, water, fertilizers or the many other time-consuming maintenance requirements of conventional grass. Synthetic turf can also be used as just one element of a shade garden that includes walkways, borders filled with flowering plants and ornamental grasses, shade-loving shrubs and water features. For example, if you plan to add a shaded seating area in your garden for reading, entertaining, meditation or other uses, fake grass is a great option to use as the ground cover in this area. Artificial turf is a good solution for almost any area in your yard where you have difficulty finding a good natural grass mix, sedge or other plant option that can take hold and thrive. This means that you have the option of creating an incredibly low-maintenance, attractive space in shady areas by using synthetic grass and hardscape features, or you can go for a colorful shade garden filled with different textures that will take a bit more maintenance – or you can have a combination of both for a visually appealing yard that is sure to impress your guests. Do you have areas of shade in your front yard or backyard? Tell us how you conquered the shade and created a beautiful garden by leaving a comment below. Photo Credits (in order of appearance): stock.xchng, pennywise; stock.xchng, annastasia; stock.xchng, PAPARABBIT; stock.xchng, Columbine; stock.xchng, kalilo.